When you're visiting the Elephant Orphanage in Pinnawala, chances are you'll find one of these guys too. 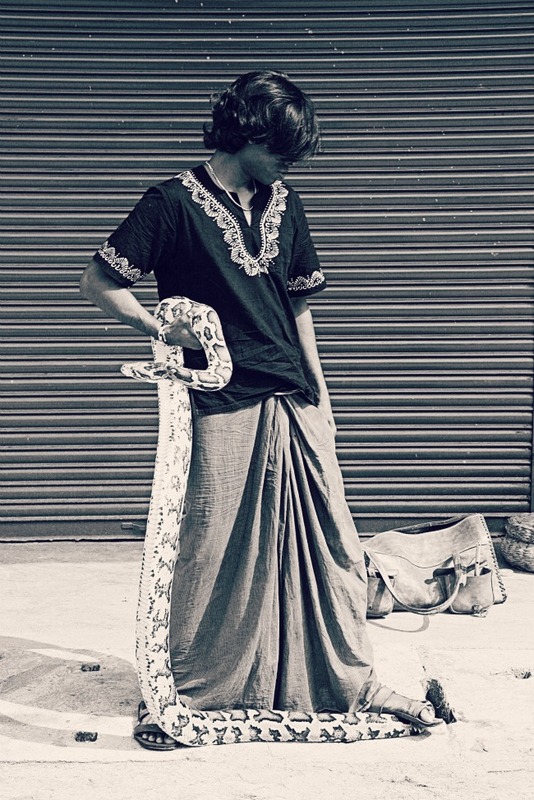 These roadside 'entertainers' make a living with snakes, where you pay them to let you touch the snake or wind it around you neck for a photograph. They'd even offer to take the photograph for you. He wasn't doing anything at the time to suggest that he's hurting the snake. He held it down with his feet, so as to show off its length to prospective clients for his service. I'm not sure whom to feel sorry for though - the snake in captivity, or the guy who has to do this for a living. We have new-found-respect for animals, especially Elephants - after our Srilanka trip.